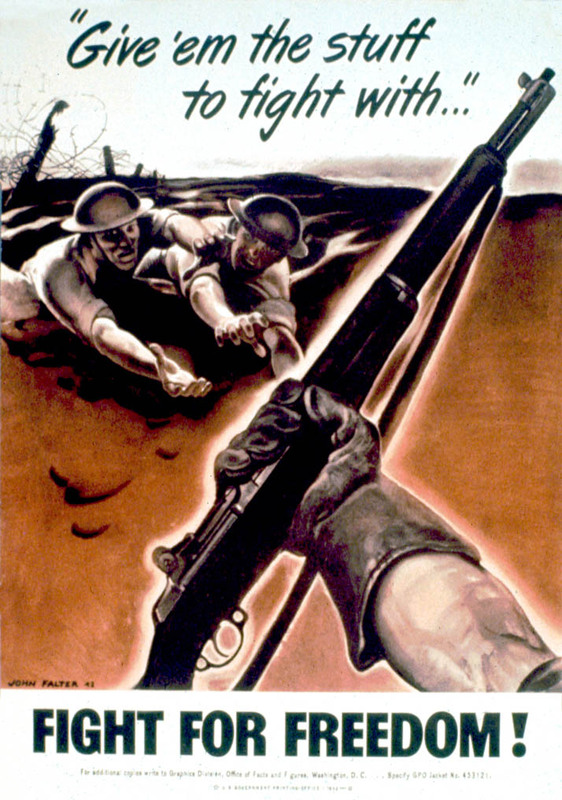 An outstretched arm extends a rifle to two soldiers. Poster Text: 'GIVE 'EM THE STUFF / TO FIGHT WITH . . .' / FIGHT FOR FREEDOM!